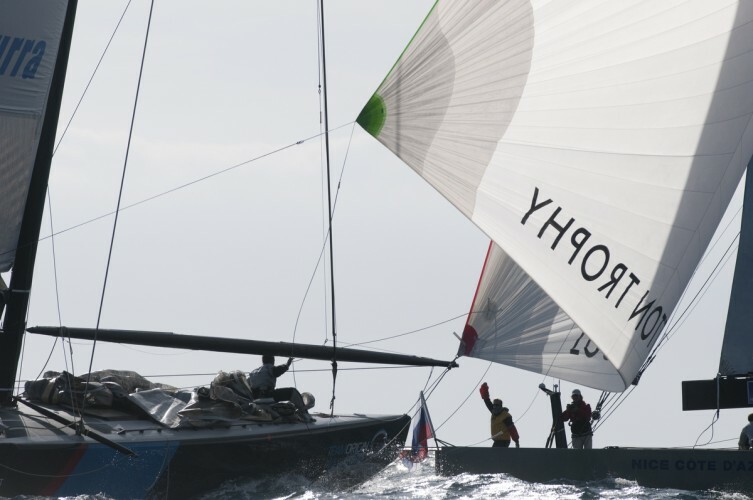 There's one match outstanding to complete the round robin at the Louis Vuitton Trophy Nice Cote d'Azur, but the four semi finalists are confirmed. Emirates Team New Zealand will win the round robin and have the opportunity to select its opponent in the semis. Team New Zealand didn't race today and has one match remaining, against upstart Synergy Russian Sailing Team, but the veteran team led by skipper Dean Barker has a 9-1 record and cannot lose the top spot. The Kiwis will pick their opponent from a group including TeamOrigin (8-3) of the U.K., Azzurra (7-4) of Italy or Synergy. 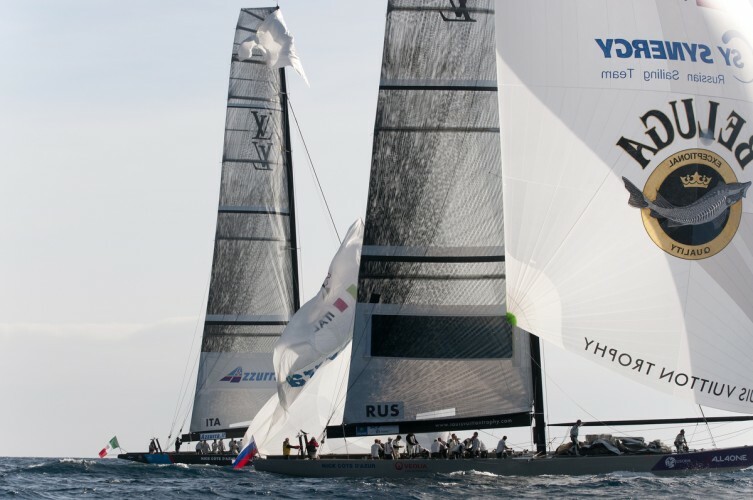 After starting the regatta 0-3, the Russian crew today won its fifth consecutive match and sixth out of seven with a hard-fought victory over Azzurra. Synergy now stands at 6-4. 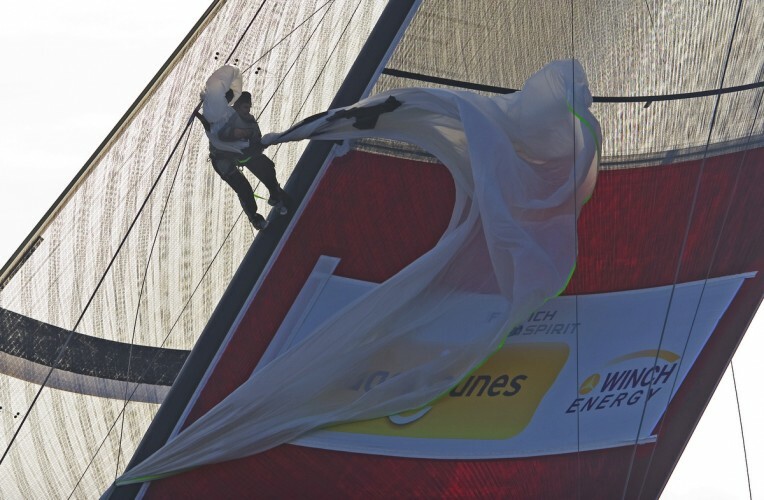 The second half of the leaderboard has Artemis (5-6) in fifth, BMW Oracle Racing (4-7) in sixth, All4One (3-8) in seventh and TFS - PagesJaunes (1-10) in eighth. These four teams will race a knockout round to determine places 5th though 8th concurrent with the semi finals. "We're getting stuff done, but it hasn't been easy," said Peter "Luigi" Reggio, principal race officer for the regatta. "The last two days have been very similar to each other, unlike the eight or so before that; every day was different. 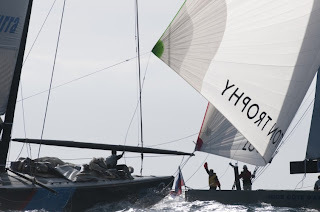 In the last race we had 13, 14 knots. In the second flight we started to see whitecaps. We haven't seen those since last Tuesday."